It doesn’t matter where you go in the world: it seems like litter is always an unwelcome part of the scenery. 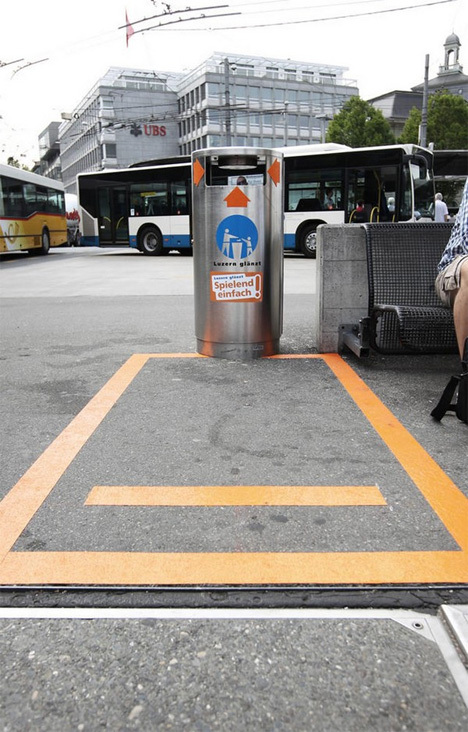 The Swiss city of Lucerne decided to do something about their litter problem by enticing residents and visitors to have fun while throwing their rubbish away. The initiative is called “Lucerne Shines,” and in the many years since it was implemented the city has seen an exceptional response. 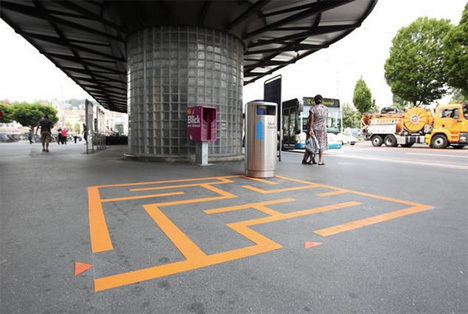 The project saw 16 public trash bins converted to public game stations. You won’t find any fancy touch-screen games, though – these games are all about cleaning up your mess and leaving the city a little prettier than you found it. From short mazes to free-throw lines to hopscotch, the initiative appeals to everyone who likes to have a little unexpected fun in the middle of an otherwise-ordinary day. The project is a follow-up to a more general city cleanup initiative. The original effort saw a huge reduction in the amount of waste on city streets, but Lucerne was still spending an astonishing amount of money on litter cleanup every year. 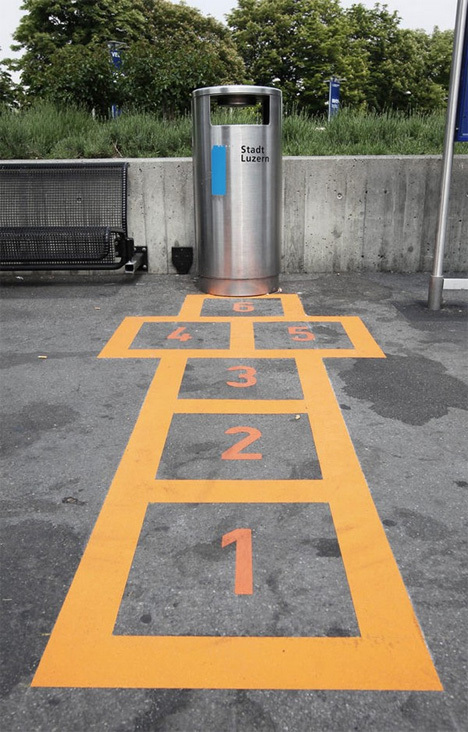 The city then had the brilliant idea to use fun as an incentive…and suddenly, the citizens of Lucerne just couldn’t wait to pop their trash into the waiting receptacles.